The Municipality of Middlesex Centre hired famous University of Montreal urbanist, Dr. Avi Freedman to develop growth plans for Komoka/Kilworth, Arva and Ilderton. After a series of public meetings in the 2010-2012, Dr. Freedman developed growth plans for the three locations of Middlesex Centre. Council embraced the Komoka/Kilworth and Ilderton phases of the plan expanding waste water treatment facilities and water storage to accommodate population growth over a ten-year period. Ilderton’s mainstreet was the focal point in Dr. Freedman’s plan and Response will hired to develop a wish list from citizens and businesses on what types of businesses are “missing in priority”. 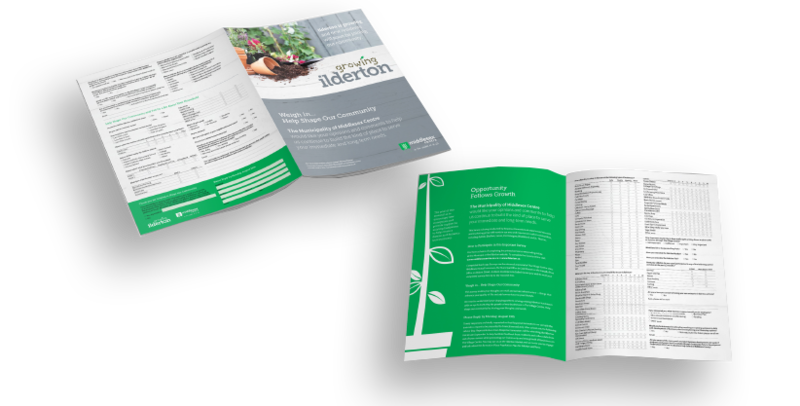 In-depth interviews of business stakeholders, developers (who were already to put shovels in the ground), long-term residents, then a direct mail campaign to place a survey into the hands of the 1,800 residents homes and businesses to gather opinion and input on what is missing to give Ilderton a town centre. 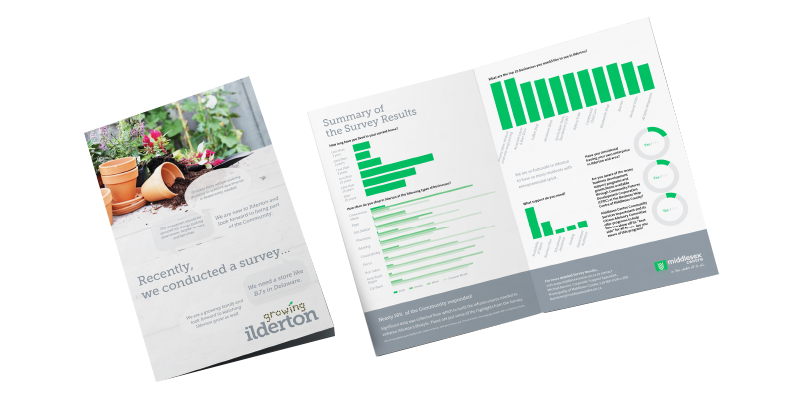 We generated an 18% response rate with the survey, compiled a statics report of town council to review and produced a summary report that was handed to visitors to the October Ilderton Fair. Moving new businesses to Ilderton was tedious however, the “RoadMap to Growth” has helped attract new businesses to mainstreet, as the population has grown by 40% since the survey report.